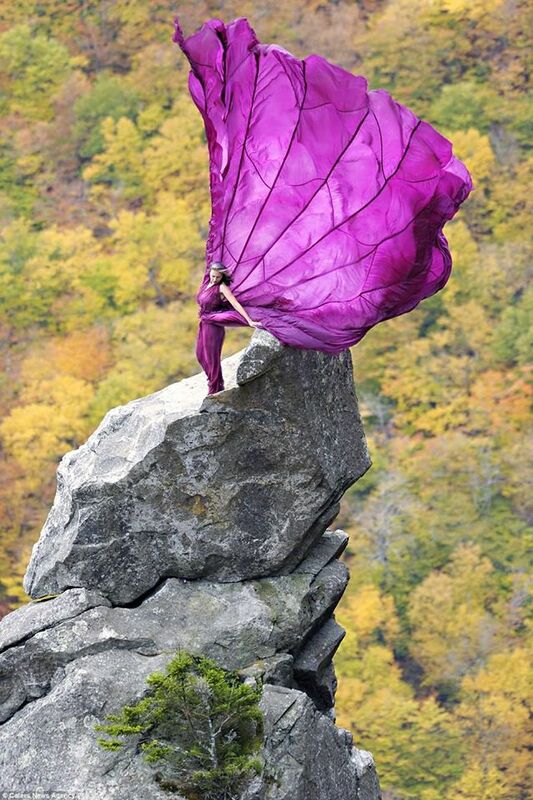 A brave model faced strong winds and terrifying conditions to pose for a breathtaking photo shoot on top of a 3,000 foot cliff. Kristina Marie Folcik-Welts, 38, also had to negotiate a billowing purple dress for the striking photographs featuring a backdrop of autumnal leaves and water. 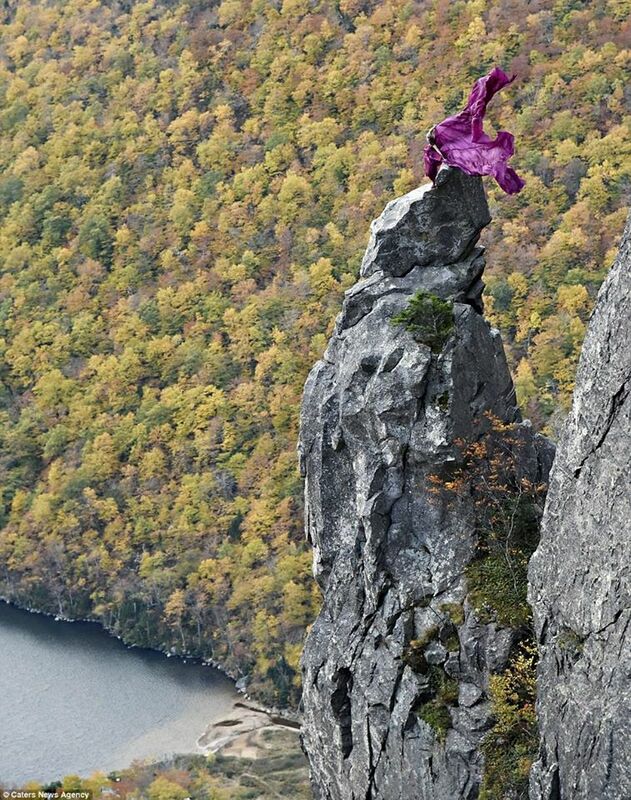 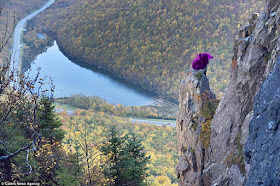 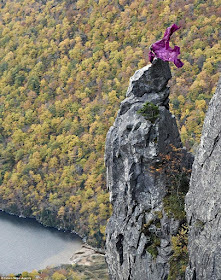 The model had to camp overnight on the spire at The Eaglet in Franconia Notch, New Hampshire, U.S., to be ready for the two-day shoot.